In the morning of February 24, the first dragon boat racing festival in West Lake (Hanoi) takes place in dense foggy weather. More than 400 athletes from 27 teams competed fiercely in the follow-up of thousands in the capital. In the morning of February 24, the 2018 Hanoi Dragon Boat Festival take place in the fog covering the West Lake. Racing teams arrived early to prepare in the lakeside location near the Ly Tu Trong Flower Garden. This is the first time Hanoi organized dragon boat race in the West Lake so there are quite a lot of people to see, close the lake along the road Thanh Nien. Despite the drizzle, many spectators were carrying their umbrellas to watch the boat race for hours. 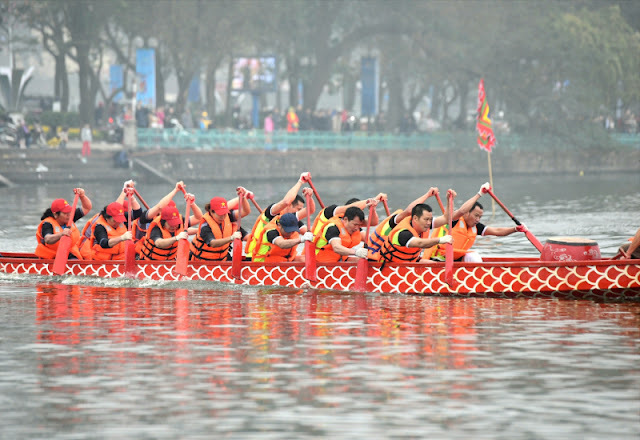 There are two categories of competitions, the standard dragon boat and the traditional dragon boat. There are 27 teams from Hanoi and several participating provinces with more than 400 athletes. There are 4 races road for 4 competing boats at each turn. Racetrack 600m parallel with Thanh Nien Street, from Tran Quoc Pagoda to Ly Tu Trong Flower Garden. The screenplay is quite exciting. The Dragon Boat surfs on the West Lake after every commanding sound starts. Dragon boat racing is a traditional sport that requires high health as well as teamwork. Dragon boat racing is often in the countryside so it is quite strange for the majority of Hanoians present in West Lake that day. 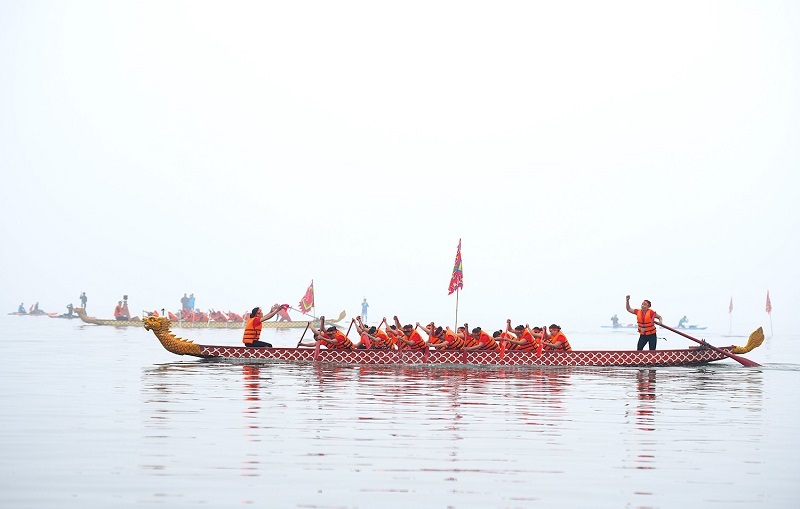 According to the Hanoi Department of Culture, if the dragon boat racing festival is well received by the public, the city can organize an annual event and expand the audience to attend the ASEAN countries.